I love my children. All day at work I look forward to seeing them. Even if it is a day that I won’t get to see them…I’m still thinking about the smell of their hair and the twinkle in their eyes. I love to listen to them talk and sing. Sometimes while I am away from them I idealize the excitement that will fill the air once I pick them up from their father’s house. Last night I picked up the boys and witnessed excitement from one child but not from the other. Desmond ran to see me and was ready to go, while Dexter was concerned about disrupting the game that he was playing on the tablet. As Dexter instructed his father to finish his game before the tablet died, I attempted to negotiate Desmond into his sneakers. Desmond requested to be carried so he could rest his head on my shoulder. I then decided that shoes were not as important as the experience of just holding him a little bit longer. As I slipped Desmond’s coat on, Dexter walked up and volunteered to carry Desmond’s shoes. After I had buckled the boys into their seats…the whining began. Sometime after starting the mac and cheese and before Dexter realized that he hates how celery smells…I went back to the front door to pick up the gift bag that had been left. I grabbed the bag and went to the kitchen…I didn’t want the boys to see what was in the jar…because it might contain brightly colored M&M’s or some other candy that I didn’t want them to be begging for the moment I pulled it out of the bag. I sat the bag on the counter and realized that the “card” was actually a book—that got me excited…I pulled out the book and it said…The Christmas Jar. I’m thinking to myself, “Oh this must be a thing that people do.” I picked up the jar and did not see M&M’s…I saw money, paper notes, coins…all types of currency filling the jar to the top. I gasped a little and sat the jar down back in the bag. I picked up the book again and thumbed through it. I wanted to know what this was all about. I could have sat there and read the book…but I imagine you can guess what I did–I picked up my phone and googled, “received Christmas jar”. 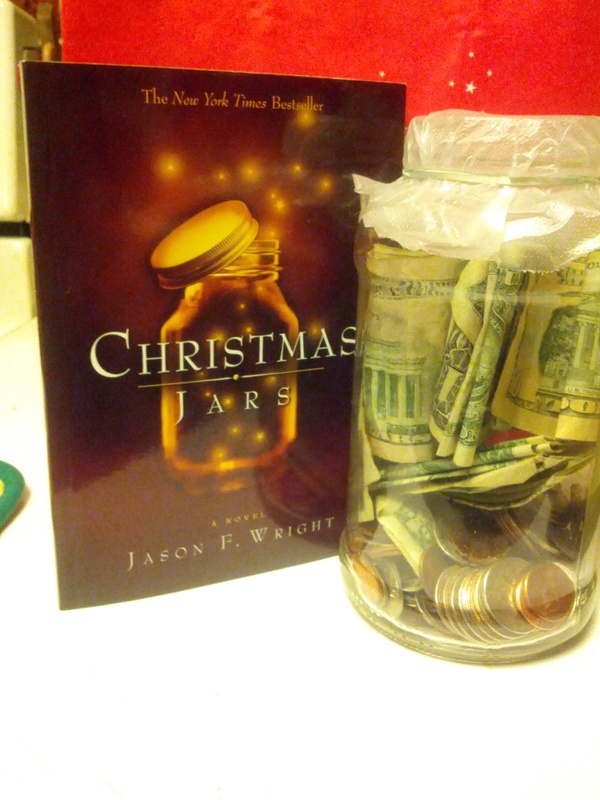 I learned that the money contained within my Christmas jar was the loose change collected by an individual or family over the course of the past year in order to donate anonymously to a needy person or family. Do I know the true identity of who left the jar for my family? No, I don’t. Because truthfully, I know a lot of people who possess the traits that I described above–for they are followers of Christ, my King. We are here, we are serving, and we are waiting. We are there, we are praying, and we are celebrating. We will listen, we will love. I reminded him that was not God’s plan at all. That God wants us to live forever with him. That Jesus came down to earth and was born as a little baby just so that we would not have to be afraid of dying. That Jesus let us know that whoever lives and believes in Him will not die. I love my children. I look forward raising them to be radical in their generosity. 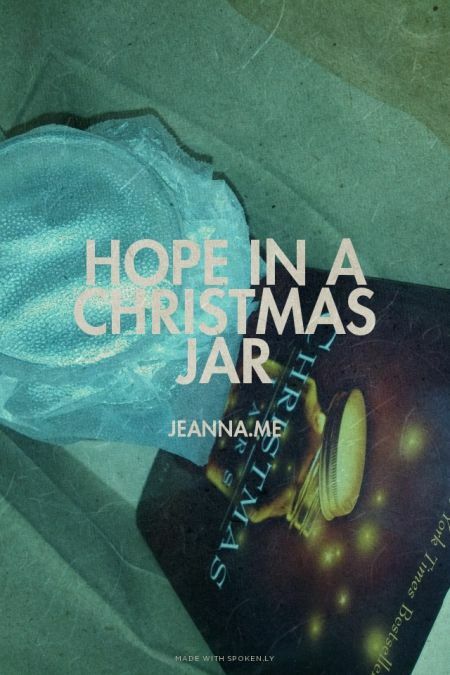 Next year I will have my own Christmas Jar to leave for someone in need. I know this because I have hope and a future…and someone else will need to be reminded of that hope and know that someone out there cares about their future. Want to learn more about Christmas Jars? Want to get radical? Are you interested in joining me to do 40 Acts of Generosity during Lent this year? Send me a message letting me know that you signed up and we can do 40acts Together. If you dropped off the Christmas Jar at my house, thank you. If you prayed for me this week, thank you. If you served this week in the name of Jesus, thank you.